Thank you for a cosmically insignificant yet poignant and wonderful perspective. I think this work was simply brilliant and wonderful. artificial intelligence is moving from science fiction to reality. how we humans shape that reality is how artificial intelligence will be defined. 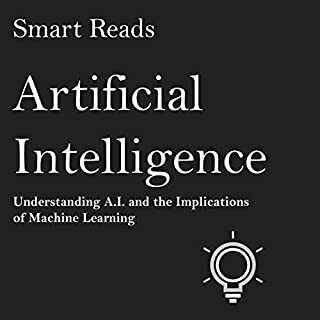 this book gives a good general overview on what ai is and how it might affect us in the future. What did you like best about Capitalism v. Democracy? What did you like least? I love the author's take on how Capitalism and Democracy work hand in hand including the constant trade off of policy vs wealth & power. I've known this in my soul for some time, but have not been able to articulate it as well as Timothy. Unfortunately, when listening to this book, articulation was hammered on like jack-hammering concrete. The narrator seemed to forget that this book would be listened to by people that cared about the content rather than the specific words. 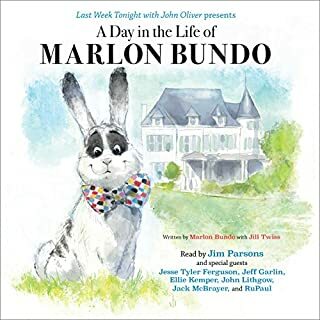 His monotone, staccato pronunciation of the words caused me to have to re-listen (begrudgingly) to many passages just to understand the author. In other words, the narrator was more concerned with his performance and articulation than the listeners hearing the book. 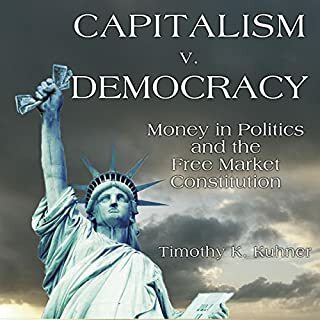 Was Capitalism v. Democracy worth the listening time? Given the importance of the subject and Timothy's viewpoint, I believe you should consider reading this book the old fashioned way - using your eyes. 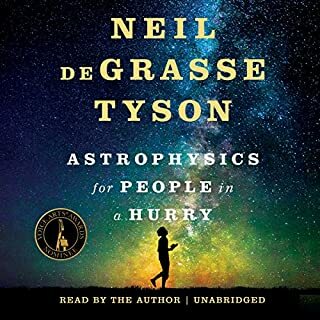 There is far too much to say and hear in a dense, complicated manner to listen to this narrator. 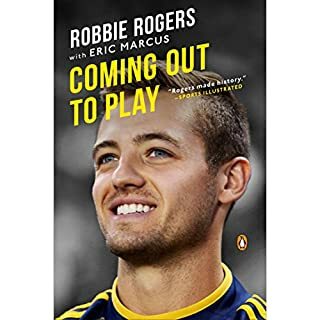 Robbie Rogers is a fresh breath in all aspects of this book..Although there are many places that you can tell he plays soccer for a living - not narrating books for a living, the performance only adds to it. Coming out is one of the hardest life steps I've ever made, and Robbie tells his with such love that it s seems to pour from the speakers. 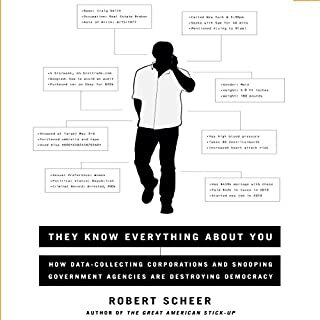 They Know Everything About You is a groundbreaking exposé of how government agencies and tech corporations monitor virtually every aspect of our lives, and a fierce defense of privacy and democracy. The revelation that the government has access to a vast trove of personal online data demonstrates that we already live in a surveillance society. But the erosion of privacy rights extends far beyond big government. What did you love best about They Know Everything About You? Bob Scheer explores the depths of the problem -- not just replaying political rhetoric. For every argument, he goes to the beginning of the problem. I believe our society is sliding into a dangerous place. We are allowing privacy to slip away like an echo. We think we still have privacy, but we can't really identify where it is anymore. Indeed, we may even recognize that we are allowing an Orwellian world to be built around us yet we are choosing to ignore the controls we have to stop it for fear they may invade the convenience of our instant communication. Bob Scheer quickly sets the stage and then goes through each of the characters in depth. I appreciate the time and effort he has invested in helping us understand the dangerous path we're on. I hope to see him on the forefront of our debate for a solution! 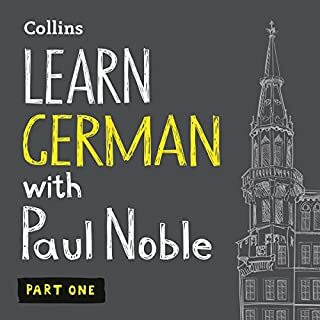 What did you love best about Learn German with Paul Noble, Part 1? Rather than simply present a structured way to learn vocabulary, he approaches instruction as "Hey, I overheard you saying you'd like to learn German. Well, I can help you with that. Why don't we sit down here at this charming café and talk about that"
I have tried other language audio programs, and the same thing happens every time. I get about half way through the first or second cd (or for digital, I guess it would be "file") and I get bored of the rote recitation of more words... its the same thing over and over - rote recitation of vocabulary - then a dialogue. Later, when I want to say something in my new language, my mind tries to access the "list" I learned and then the moment passes. This "list" approach only teaches you how to recite lists - not actually speak the language. I can't wait to go on to Level 2! He is conversational. His instruction is through inquisitive prompting. He's got a really nice easy style -- less "I am a professional radio person doing a radio voice" and more informal and personable.